Oliceridine is an intravenous analgesic that treats moderate-to-severe acute pain with a reduced frequency of opioid-related adverse effects (e.g., nausea, vomiting, hypoventilation) when compared to intravenous morphine. This drug has been granted breakthrough therapy status by the Food and Drug Administration (FDA), meaning the FDA will review portions of the new drug application (NDA) ahead of time and increase communication with the manufacturer, in the hopes of providing important guidance to increase the likelihood of the drug’s approval. Oliceridine is currently in phase 3 trials, with an estimated completion date of March 2017. An opioid that targets the site of injury without passing the blood-brain barrier, CR845 is being called a non-addictive opioid that induces potent analgesia and anti-inflammatory properties, without adverse effects such as constipation, respiratory depression, or euphoria. The drug is currently in phase 3 trials, with results expected early 2017. Currently in development at the University of Maryland (UM) School of Pharmacy (in association with UM’s Computer-Aided Drug Design Center), UMB425 is an opioid that does not induce withdrawal when discontinued. This drug has been in development for 10 years, and research efforts surrounding UMB425 have received funding from the National Institutes of Health (NIH) signifying high promise, but the drug has yet to move beyond animal trials. The Florida Division of Workers’ Compensation is seeking legislative authority to establish a closed drug formulary, and the New York Workers’ Compensation Board recently expressed interest in creating a formulary as well. Furthermore, many states such as Louisiana, Pennsylvania, and North Carolina are also considering the implementation of drug formularies. In the past, many states were reluctant to consider drug formularies due to the herculean levels of preparation, coordination, and communication required between various stakeholders. However, eight states have already implemented workers’ comp formularies over the last few years, and California will join these states by July of this year, with Arizona not too far behind. 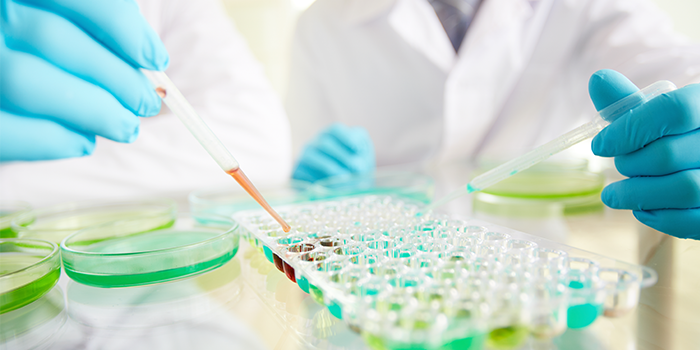 As formularies continue to operate, data continues to demonstrate the benefits these formularies bring, further inspiring other states to create and implement formularies of their own. 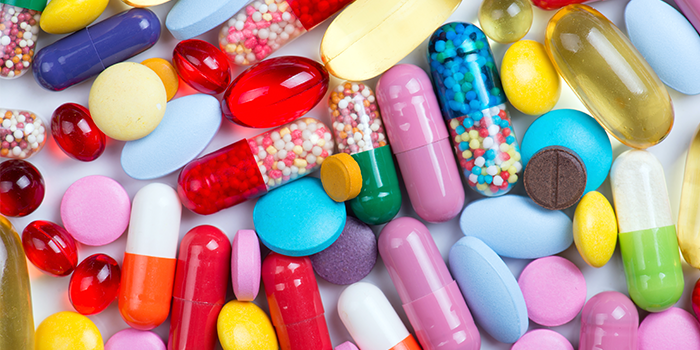 According to a report from the Texas Department of Insurance, the Texas formulary saw the number of injured workers receiving non-preferred drugs drop by 65%, with a corresponding 83% drop in costs for those non-preferred drugs. Study data has also found that if formulary rules set forth by the California Division of Workers’ Compensation were retroactively applied to 2014, 57% of drugs dispensed to injured workers were non-preferred, accounting for 53.1% of total drug spend. These numbers highlight the improved care and cost savings the California formulary would yield. Furthermore, decision-makers can examine the language and structure set forth by other state formularies, taking into consideration the resulting care and cost data as they consider the implementation of a formulary that suits their specific needs. For example, the International Associations of Industrial Accident Boards and Commissions (IAIABC) published a report that includes snapshots of various state formularies, taking note of lessons learned when implementing these formularies, as well as steps decision-makers would handle differently, such as increasing communication with industry stakeholders. It is very likely that industry experts could easily provide guidance on how to avoid the growing pains encountered by earlier formularies, hopefully facilitating more effective future implementation. Three different FDA-approved exoskeletons are helping patients walk again, each specifically indicated for paralysis stemming from spinal cord injuries. There has been much talk about exoskeletons and their role in workers’ comp, and as of August 2016, the manufacturers of the ReWalk exoskeleton reported that 18 units had been paid for by workers’ comp insurance companies, with 20 more units pending review. At roughly $65,000 per unit for the ReWalk, exoskeletons are a significant cost consideration workers’ comp payers. We can expect exoskeletons to grow in popularity due to the unprecedented benefits they offer patients suffering paralysis due to spinal cord injury. In addition to the obvious benefit of providing patients whom would otherwise be confined to a wheelchair with increased independence and quality of life, such technology provides secondary benefits, such as reduced risk from injuries incurred from excessive sitting, which include blood clots and bone deterioration. Additionally, the number of players in the medical exoskeleton business is growing. Industry giants have already developed exoskeletons for labor and military purposes, and they are in good position to develop models for medical and rehabilitation purposes. 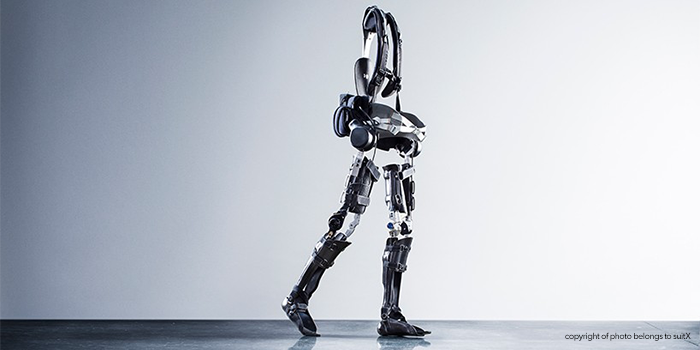 The automotive company Hyundai, for example, has already developed exoskeletons for labor purposes and is now using their knowledge to develop a medical exoskeleton that helps those with lower spinal cord injuries. As the current exoskeletons on the market already accomplish this, a company the size of Hyundai may very likely see some success in their efforts. With other companies like Toyota, Mitsubishi, and Honda already working with labor-related exoskeletons, it is very likely that many companies will shift gears and develop exoskeletons for the medical field. Market research predicts that 97% of the total market for wearable exoskeletons will soon be geared towards medical and rehabilitation purposes, and such collective effort will very likely lead to fruition. If an exoskeleton boom were to occur, it would come with a number of considerations for payers as they weigh the cost-benefit of these devices. First and foremost, these technologies provide significant quality-of-life benefits to the patient. While expensive, the secondary health benefits provided by use of these technologies could contribute to hospital and medical cost savings for conditions common within spinal cord injury patients, such urinary dysfunction, blood clots, or secondary fracture due to lessened bone density. It is also possible that an increasing number of manufacturers could foster more competition, lowering unit costs. Bottom line: exoskeletons have moved beyond science fiction to become a reality in the workers’ comp space, and education surrounding this innovative technology is important. 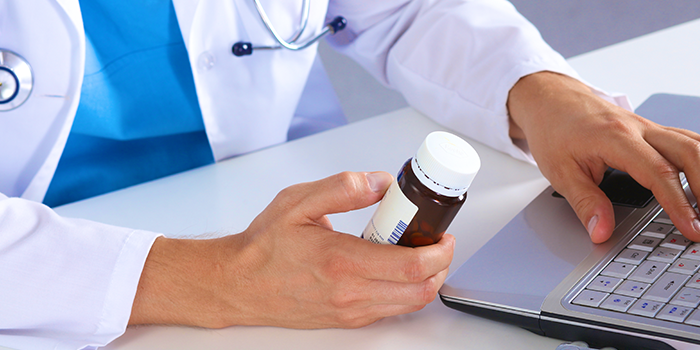 In 2016, several states passed laws requiring the mandatory usage of prescription drug monitoring programs (PDMPs) to regulate the prescribing of opioids. In April 2016, Virginia passed HB 293, requiring prescribers to check the state PDMP prior to delivering opioid prescriptions longer than 14 days. In June, Maryland passed HB 437, requiring prescribers to query PDMPs before any initial opioid or benzodiazepine prescription, with rechecks every 90 days. In September, California passed SB 482, requiring prescribers to check their PDMP before prescribing any schedule II-IV drug, with further review required every four months. Then in November, Pennsylvania passed SB 1202, requiring prescribers to check PDMPs for every prescription of opioids, as well as benzodiazepines. This legislative action alone may signal the start of a new trend, but as more data surfaces to validate the effectiveness of PDMPs against the opioid epidemic, it seems even more likely that states will embrace the mandatory use of PDMPs in the coming future. Kentucky’s PDMP and Tennessee’s PDMP both led to 50% decreases in “doctor shopping,” while Virginia’s PDMP led to a 73% reduction in this practice, Florida’s PDMP led to a 76.2% decrease, and New York’s PDMP led a 90% decrease. 43% of prescribers in Tennessee are less likely to prescribe controlled substances after checking PDMPs, and the average morphine milligram equivalent (MME) for opioid prescriptions across the state decreased 23.7% for long-acting opioids, and 9% for short-acting opioids. Florida attributed a 38.9% decrease in MME from 2011-2016 to the implementation of their PDMP, along with a 52% decrease in oxycodone deaths. New Hampshire attributed a 13% decrease in painkillers dispensed to their PDMP, and 50% of prescribers who changed their prescribing patterns in Indiana credited their change to their state’s PDMP. Every state except Missouri currently has a PDMP in operation, though a majority of them operate on a voluntary basis. The data proves that PDMPs are an incredibly useful tool, and this recent legislative trend is very likely to grow in the near future. There has been much discussion lately regarding telemedicine and workers’ comp. 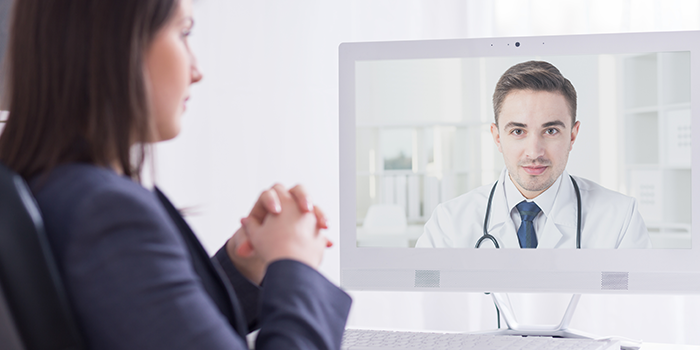 On a global healthcare level, the IHS predicts that the 350,000 patients using telemedicine in 2013 will grow to 7 million by 2018, and workers’ comp industry leaders have discussed the possible benefits that come from telemedicine, such as 24/7 access to providers, the ability to reach remote workers, increased access to specialists, and more. The Official Disability Guidelines recognize telehealth’s use in treating pain, diabetes, mental health disorders, and common occupational injuries such as sprains and cuts. Telemedicine has also been found to work well for monitoring chronic conditions, which could be beneficial in workers’ comp for the management of comorbidities, and there is great evidence that telemedicine works well for triage, physical rehabilitation, and drug therapy management. The National Telehealth Policy Resource Center found that 29 states and Washington D.C. have passed laws requiring that health plans cover telemedicine, and on first glance telemedicine looks as if it may soon take workers’ comp by storm. However, while technology has significantly advanced, the healthcare industry has been known to lag behind modern developments, and implementing the infrastructure required to embrace telemedicine is a feat in and of itself. Furthermore, there have not been enough large-scale implementations of telemedicine to learn from. While some are currently experimenting more and more with telemedicine in workers’ comp, the industry has not yet received enough data to fully understand the potential risks and benefits that come with telemedicine. Telemedicine has primarily been used in group health for chronic health concerns, rather than acute or potentially serious injuries. Subtle cues which a provider is normally alert for could be lost in translation through telemedicine, and patients may not immediately trust the system, especially if they are in serious pain. Telemedicine is slowly trickling into workers’ comp. As knowledge around its potential benefits and applications builds, it can be determined if large-scale implementations are potentially favorable, or if telemedicine services should remain limited. For now, it seems that many industry leaders will retain a wait-and-see approach as more data is collected.